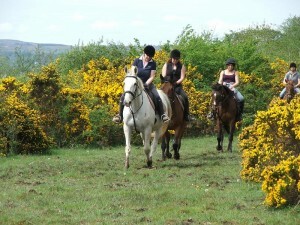 Lough Gara Riding Stables offers horse riding lessons for all ages and experience levels. Our horses include well-schooled dressage schoolmasters for the more advanced riders and quiet horses and ponies for beginners and people who just want to unwind. Experience true harmony getting the feel of the dressage movements, go for a gallop in the meadows jumping our small natural jumps and ditches, or simply hack by the lake taking in the scenery and watching the wildlife. They offer a range of packages so there is sure to be one that suits all experience levels and pockets.